Oranges are low in calories and full of Nutrients. They promote clear, healthy skin and can help to lower the risk for many diseases as part of an overall healthy and varied Diet. 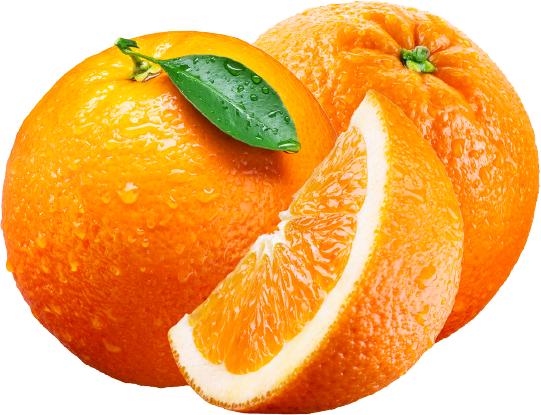 A number of vitamins and minerals are found in oranges. These include vitamin C, thiamin, folate, and potassium. Oranges are extremely common, no matter which part of the world you live. In fact, it is the most popular Citrus fruit. Juicy and sweet and renowned for its concentration of vitamin C, oranges make the perfect snack and add a special tang to many Recipes. It is no wonder that they are one of the most popular fruits in the world, which you can get easily in all Grocery Stores. Oranges are generally available from Winter through summer with seasonal variations depending on the variety. Orange trees are the most commonly cultivated fruit trees in the world. Oranges are a popular fruit because of their Natural sweetness, wide variety of types and diversity of uses. From juices and Fresh Orange Peel face Pack with Yogurt for Glowing Skin. The Orange fruit is known for its outstanding health benefits as well as its versatility. The juice from oranges can be refreshing and nourishing and it is a rich source of so many Vitamins that are beneficial to health. Sweet, juicy oranges make a delicious and healthy snack or addition to a meal as a delicious Fruit Salad with the combination of Cucumber. This fruit is available all season and who don’t like to eat this Fruit? I enjoy eating Fruit Salad for my lunch, which I make from Orange, Avocado and Banana. When I make fruit salad from these three fruits, it become more delicious and tasty with all its benefits for health. Consuming vitamin C supplements does not provide the same protective benefits as drinking a glass of orange juice, shows research by Italian researchers in the Division of Human Nutrition at the University of Milan. Oranges may help elevate mood and reduce depression, especially when used aroma therapeutically. The warm Citrus scent of oranges help to relieve Anxiety, and induce a sense of calming relaxation. Oranges have been used historically as a relief for stress. Vitamin C also helps keep skin looking beautiful, by helping fight against skin damage caused by the sun and pollution. It is vital to collagen production and may help reduce wrinkles and improve the skin’s overall texture. Oranges are packed with Antioxidants and Vitamin C that makes you look younger than your real age. Oranges, and other fruits of the citrus family, are high in citric acid and citrates, which contribute to the sour taste. Oranges are positively packed with vitamin C, which helps your body synthesize collagen, a protein that’s crucial for building healthy skin. Anemia, the decrease in the amount of red blood cells or hemoglobin in the blood, is often caused by iron deficiency. Although oranges are not a good source of iron, they are an excellent source of organic acids, such as vitamin C and citric acid. Oranges are full of soluble fiber, which is especially beneficial for lowering cholesterol levels. Soluble fiber attracts water in your gut, forming a slow-moving gel. Citrus fruits are also a great way to keep your health in the present. That’s because they are filled with Vitamin C, which you need to produce the white blood cells that destroy viruses, bacteria and other foreign invaders. Oranges also contain vitamin A, folate and copper, nutrients that assist Vitamin C in keeping your immune system in tip-top shape. The fiber that is present in high concentration in oranges help you in digesting food easily. It helps in releasing digestive enzymes or juices which help digest the food effectively. Oranges are very low in calories and rich in fibers which make you feel full for long. When you avoid to eat frequently, then you Loose your Weight. Oranges can be stored in the fruit/vegetable compartment of the home refrigerator can extend their shelf life up to 2 weeks. The best way to store them is to keep them loose in a fruit container rather than wrapping them in a plastic bag.